This is a post about a lunch we made earlier this week. It was time again to have some organ meats, beef liver to be more specific. 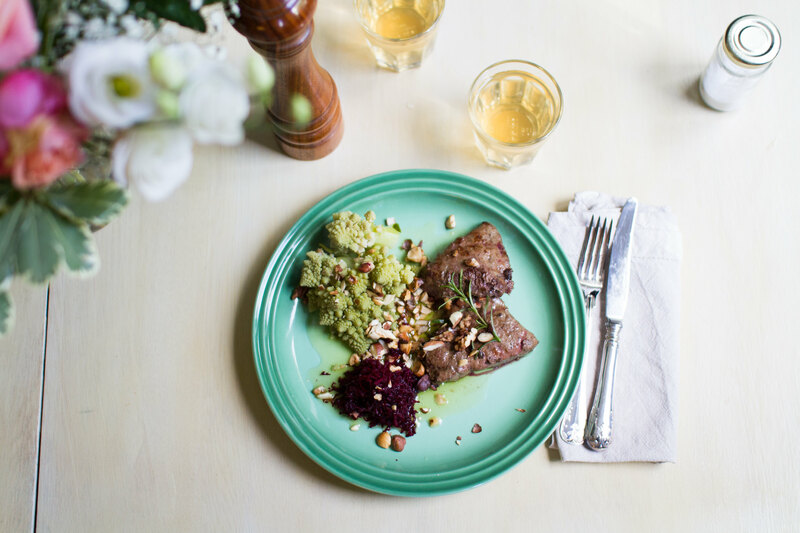 Served with a grated beetroot, browned butter and some chopped salt roasted nuts to add some crunch to it. Delicious! 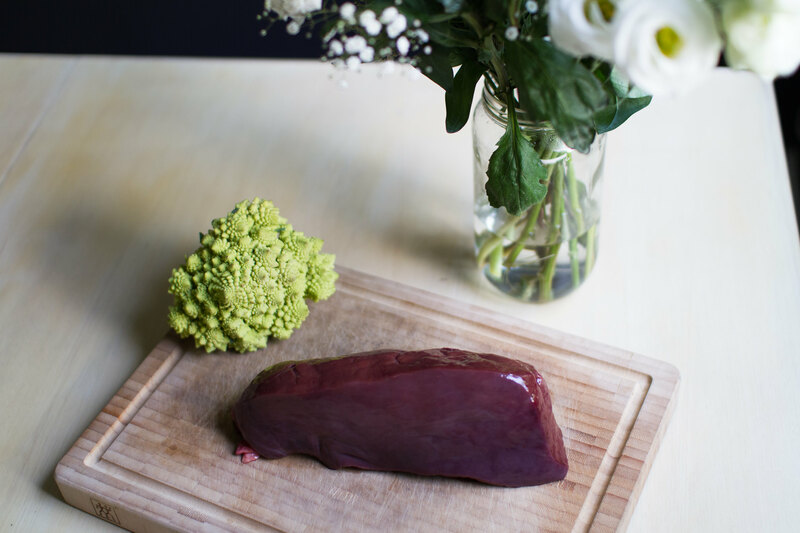 To the beef liver we also steamed a romanesco head. 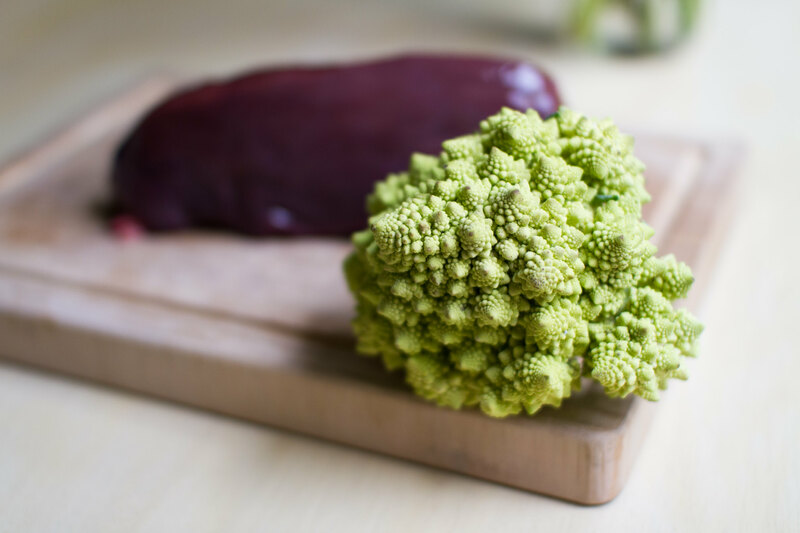 Romanesco is basically a hybrid between a cauliflower and broccoli and is indeed a very pretty thing! Tasty as well! However, it was cut into smaller pieces and seasoned with fresh rosemary, salt and pepper before going into the cast iron pan at medium temperature. Beef liver ready for the cast iron pan. Nice! 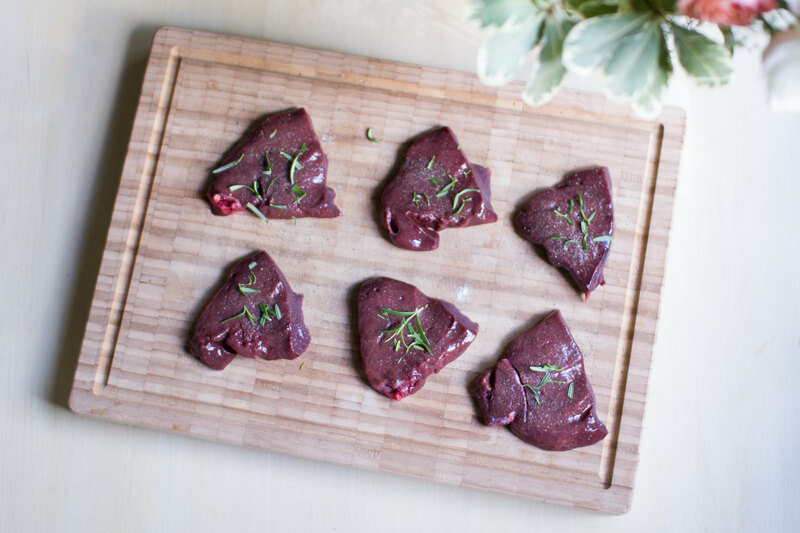 The liver we buy is of course grass-fed and organic from happy cows. Packed with healthy vitamins and minerals that is difficult to achieve from other types of food. 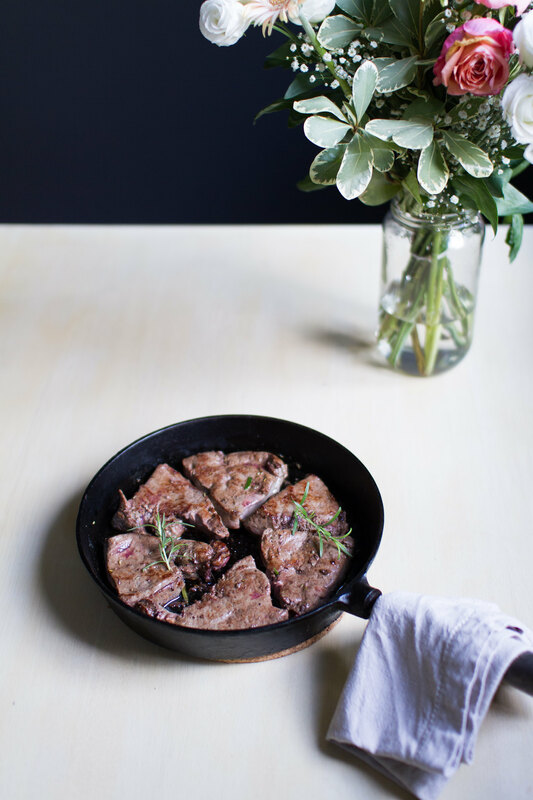 Beef liver fried in the cast iron pan. Gorgeous photos! I love how simple this dish is. You’ve really let the ingredients shine. I’ve been trying to incorporate organ meats into my cooking repertoire. Everyone I know loves pate, so that’s the easiest way in. I also chop up liver finely and add to ground beef for a rich chill.